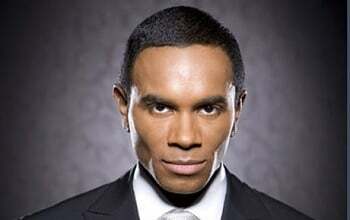 Fab Morvan, who entertained millions around the world as a member of Milli Vanilli, is about to do it again, this time on the motion picture screen with Universal Pictures, to be executive produced by his longtime manager Kim Marlowe, written and directed by Jeff Nathanson, with Kathleen Kennedy aboard as producer. The film takes place against the backdrop of his return to the music world as not just the singer, but a writer and performer, working with some of the finest young DJ/producers and writers in the techno and dance world. Entertainment Tonight dubbed him “a modern-day cross between Marvin Gaye and Usher,” as he continues to make his mark in world music with the cutting-edge tracks of his latest musical project, smfm, based in his new Amsterdam home, where he is working with some of the world’s leading DJ/producers, like DJ Sander Kleinenberg and Don Diablo. The other member is renowned DJ Sean McCaff; with smfm standing for “Supplying Mirages for Mankind” as well as representing the initials of its principals’ names. “Our goal is to take people out of their daily routines and challenge their ideas about society, culture and behavior,” explains Morvan. “Consciousness is an integral part of our daily lives. For those who’d rather not walk with blinders on, music can be a powerful tool to awaken the sleeper in us.” DJ Sean McCaff has been a fixture at dance parties and clubs in New York, Ibiza and the Netherlands since 1987, with residencies in clubs like Cocoon Lounge and Mezzo (Netherlands), Le Souk and Waterloo Club (N.Y.), Kabal (Kansas City) and Millennium Party (Croatia). Sean and Fab were introduced by a mutual friend in Amsterdam, and went straight to work in his Den Haag studio, where the magic flowed. “It was time for me to get back to my roots in the clubs and dance floors of Europe,” says Morvan. “Writing and recording these tracks has put me in touch with the special energy that can only be found in creating new music, pushing the boundaries and entertaining people while still making a strong statement.” Born in Paris, the son of an architect/builder and pharmacist, as a teen, Fab gravitated to British and American sounds: the Beatles, Queen, the Jackson 5 and Bob Marley. His musical roots got a boost from his grandfather, a fisherman/baker who played the accordion and took a young Fab on his musical travels throughout the Caribbean. Upon his move to Germany at 18, Morvan was exposed to the funk, rap and soul of Run DMC, Prince, the Gap Band, Parliament-Funkadelic and Sly & the Family Stone. It was in Munich where he met Rob Pilatus in a local club and the two started a rock and soul band together. The two penniless and homeless kids jumped at the chance to sign a contract, and within months they had created a captivating stage show that would prove to enthrall millions. Selling over 7 million copies of their debut album, Girl You Know It’s True, the duo went on to MTV stardom, becoming one of the biggest musical acts of the end of the 80’s and in the beginning of the 90’s, with worldwide sales of more than 30 million singles and 14 million albums. The popular VH1 series Behind the Music premiered with an episode spotlighting the duo, which was one of the highest-rated segments of the series. Morvan has continued to explore new fields, hosting his own midday show on L.A. radio bastion KIIS, and performing at the station’s sold-out Wango Tango festival concert before 50,000 people at Dodger Stadium. He’s been featured on countless radio and television outlets, including BBC’s documentary It Takes Two: The Story of the Pop Duo. After completing a successful summer tour sponsored by Malibu Rum, Morvan was the inaugural performer at the brand-new Velvet Lounge at the Hard Rock Café Hotel in Orlando, Fla., headlining the venue’s gala opening.